i will be leading a plant walk for the Seasonal School of Culinary Arts in mid-July. This school started at my alma mater Warren Wilson ten years ago and has since spread to Paris, Ithaca, NY and Sonoma, CA. i will also be attending the Cullowhee Native Plants Conference and teaching for the Urban Farm School, Chestnut School of Herbal Medicine and Blue Ridge School of Herbal Medicine. The very sweet 27th Annual Wild Herb Weekend in Valle Crucis, NC is coming up in a few weeks http://ncherbassociation.org/whwschedule.html. i will be offering three plant walks including ones on uses of basic botany, brewing and the ethnobotany of woody plants. The Permaculture Gathering in Celo is the following week. This is the place where i first really fell in love with Frank Cook and the plant list concept. The land inventory that Frank started working on in 2001 now contains 224 species! This number is almost 10% of the total amount of native and naturalized vascular plant species in the whole entire Blue Ridge region (Wofford, 1989)! 97 of the 144 families of vascular plants have been on site as well. We will certainly have plant and mushrooms walks as well as numerous other classes organized by open space technology www.southeasternpermaculture.org. This class is mainly focused on the phenomenon of exotic invasive plants. Exotic invasives are a topic that i have explored for a few years now starting with my graduate research. They are all the rage within the science of Ecology now (Bazely, 2003; Elton, 2000; Monaco & Sheley, 2012; Ross & Lembi, 2009; Shibu, 2013). A recent book called 1493 (2011), which is a sequel to 1491 (2006) explores in part how vastly transformed the landscape of America has become due to the presence of these organisms. This phenomenon includes not only plants, but microbes, insects, mollusks, rodents, earthworms, etc…The following is a revision and distillation from my research on the phenomenon of exotic invasive plants. It started with a focus on information for the southeastern U.S. but no features information from around the country as well as other countries such as Australia, Canada, Hungary, Israel and New Zealand. Many names are given for exotic invasives. These include noxious, nonindigenous, alien, and non-native weeds. Andow (2005) offers a general definition. “Invasive alien species become established in natural or semi-natural ecosystem or habitat, are agents of change and threaten native biological diversity.” Invasive plants may come from far away continents or adjoining areas within one continent. In the U.S. most exotic invasive plants come from Europe or Asia collectively known as Eurasia. Invasion ecology is the study of how invasive species interact in the environment. It is concerned with five questions: Which taxa invade? How fast? What makes ecosystems invasible? What is the impact? How can we contain, control, or eradicate harmful invaders? All of these questions are related to the particular habitat in question (Radosevich, Holt, & Ghersa, 2007; Rejmanek, 2005). Many factors relate to whether a plant will become invasive. These include the type of plant and the type of ecosystem in question. Plant characteristics include reproductive strategies, relation to biotic and abiotic forces, age to reproduction, and reproductive success. Specific reproductive strategies include seed dormancy regimes and adaptations for spread by humans and other agents of nature. Plants that have seeds that are the same size and shape of crop seeds may elude winnowing processes (Westbrooks, 1998). Plants that have flexible reproductive regimes are more likely to become invasive. Plants that have a number of pollinators, the potential for self- pollination, and other means of asexual reproduction are some examples. Plants that reproduce early in their life cycle and make copious amounts of seeds that are readily distributed are also potential invasives. Other plant characteristics that aid in invasiveness include; long life, production of biological toxins, prickles, spines, thorns, the ability to parasitize other plants, and high photosynthetic rate. Plants that show “fitness homeostasis” or the ability to flourish in a number of environments have a larger potential to become exotic invasives (Rejmanek, 2005). St John’s Wort (Hypericum perforatum) is a big problem out west due to its ability to cause photosensitivity in livestock. Thistles of various types such as Star Thistle out west (Centaurea solstitialis) and various species from other Aster family genera all over are well known for their spines i.e. (Cirsium spp., Carduus spp., Carthamus spp. and Milk Thistle Silybum marianum). Ecosystem characteristics that effect exotic invasive potential include; species diversity, position as a disturbed or climax environment, climate regime, soil quality, availability of water, nutrient resource availability, and the type of plants already present. Characteristics of reproduction, historical exposure to selective pressure, and post-disturbance recovery rates are factors related to the resistance of plants that are already present to invasion by exotics. Only a fraction of introduced species are actually detrimental. These are known as “transformer species”. These plants actually change the character of the ecosystem that they inhabit. There are several ways in which a species may change the ecosystem including excessive use of water, changing the nutrient regime, changing the fire regime, altering the pattern of erosion, accumulation of litter, altering carbon storage, and accumulation of salt (Cronk & Fuller, 2001; Rejmanek, 2005). Some families seem to exhibit more of a propensity toward invasiveness. These include the Amaranthaceae, Brassicaceae, Chenopodiaceae, Fabaceae, Hydrocharitaceae, Poaceae, Papaveraceae, Pinaceae, and Polygonaceae. Likewise, some families are underrepresented in the exotic invasive flora including Acanthaceae, Orchidaceae, Podocarpaceae, Rubiaceae, and Zamiaceae. However, even in these underrepresented families exceptions do exist (Mooney, 2005). The top three families listed have over one third of the total number of invasive species! Asteraceae, Fabaceae and Poaceae are three of the most diverse species rich families in the world. However, they still represent a disproportionate amount of invasives given their percentage of total world flowering plant flora. Asteraceae contains roughly 25,000 spp. Fabaceae has about 19,350 spp. and Poaceae has about 10,000 spp. out of a total of approx 270,000 spp. (Groombridge & Jenkins, 2002; Heywood, Brummitt, Culham, & Seberg, 2007). This equals roughly 20% of total world flora. The data related to plant family level invasiveness may be used in conjunction with other information to predict possible invasive tendencies. Correlating acreage affected by family and even genus may help set priorities of which invasive plants to control first. Genus diversity within prevalent exotic invasive plant families might also give clues as to the propensity of certain plants to invade. The predominant life forms of invading plants in the Southeast are listed here with number of species following in parentheses; Forbs/Herbs (118), Grasses (61), Shrubs (39), Vines (30), Aquatic Plants (26) and Trees (19) (Miller et al., 2006). Connecting acreage affected with plant form may also help set control priorities. Unfortunately, at this time much work is left to be done in analyzing how many acres are truly affected by this diverse array of species. Some estimates have been made for individual species. For instance, Kudzu (Pueraria montana) and Japanese honeysuckle (Lonicera japonica) alone cover millions of acres (Westbrooks, 1998). Total coverage by exotic invasives in the U.S. in 1998 already amounted to well over 100 million acres and was estimated to be growing at a rate of 8-20% annually (U.S. Dept of Interior, 1998). The use of Geographic Information Systems (GIS) and satellite imagery may help characterize the nature of coverage by various exotic invasive plants. Some exotic invasives have been studied rather in depth like Japanese Knotweed (Child & Wade, 2000; Child, 1999; Lecerf, 2007). Many others are in need of further study. Invasive species continue to proliferate, unlike other forms of pollution that may naturally degrade over time once the source has been controlled (Weber, 2003). Exotic invasives can lower the value of land for various uses. The control of exotics and losses of production because of them cost billions of dollars each year in the U.S. alone (Burrell, 2006; Myers, 2003). About 8,000 species or 3% of all known plants are considered to be invasive. Of these about 200-250 spp. or >.1% of the total known species are recognized as major problems in world agriculture, with about 80 taxa representing the primary and most troublesome species (Westbrooks, 1998). At least 4,500 species of foreign plants and animals have been introduced that have free-living populations in the U.S. since the time of European colonization. Of that total at least 675 cause some form of economic damage (Westbrooks, 1998). Almost 3,500 species of plants are recognized as weeds in the U.S (Weed Science Society of America, 2007). Typically about 65% of weeds come from exotic locales. A lot of work has been done from researchers in different ecotypes about the nature of plant invasions. In New England some region specific literature has been generated (Huebner, Olson, & Smith, 2005; Royer & Dickinson, 1999). Connecticut has a nice array of specific resources for the state (Bugbee & Balfour, 2010; Capers, 2005; Connecticut Invasive Plant Council, 2004). Nearby Massachusetts has developed a resource as well (Weatherbee & Somers, 1998). Same for Maine (Maine Volunteer Lake Monitoring Program, 2007). A number of resources are available for the southwestern U.S. too (Chambers & Hall, 2001; Chambers & Hawkins, 2002; Thomas & Guertin, 2007; M. R. White, 2008, 2011). Likewise for the Pacific Northwest (PNW) (Boersma, Reichard, & Van Buren, 2006; Ciesla, 2002; Gray, Barndt, & Reichard, 2011; Harrington & Reichard, 2007; Sherley, 2000; Skrine, 2005). Alaska at the extreme on the PNW region has a literature all its own (Bauder, 2005; Hébert, 2001; Shephard, 2007). This is also the case a little further inland in Montana (Carpenedo & Saul, 2010; Rens, 2003). California probably has more published resource than most places (Bossard, 2000; Coates, 2006; Colvin, 2008; Dark, 2003; Di Tomaso & Johnson, 2006; Moore & Hyland, 2002; Robbins, Bellue, & Ball, 1970; Williams, Rogers, & Howe, 2013). Neotropical places like Hawaii have a unique issue for the U.S. in regards to invasives (Staples & Cowie, 2001; Stone, 1992, 1992). Florida is similar (Langeland, 1998; Ramey, 2005). Canada is amongst a number of other countries have developed literature on exotic invasives as well (Haber, 2000; D. J. White, Haber, & Keddy, 1993; Wikeem, 2006). Australia is another great example of very robust literature in regards to exotic invasives (Ainsworth & Swane, 2004; Burke, 1996; Glanznig, Kessal, & McLachlan, 2004; Groves, Lonsdale, & Boden, 2005; Jones, Griffith, & Vere, 2006; Martin, 2003; Navie & Adkins, 2008). New Zealand also has some (Hetherington, 2012). To get out of the former British colonies i would like to cite work that has been done in Israel, South Africa and Hungary (Botta-Dukát, 2008; Bromilow, 2001; Dufour-Dror, 2012; Henderson, 2001). Are you aware of a resource about exotic invasives around you? If so please share in the comments below, in an email to me or on the Facebook group. Non-native plants are considered to be the second biggest threat to biodiversity following development (Westbrooks, 1998). Some exotic invasives poison other biota either through allelopathy or through their toxicity to grazing animals. Garlic mustard (Alliaria petiolata) and Tree of Heaven (Ailanthus altissima) are two exotic invasives in Appalachia that exude toxins from their roots that are not good for other plants. A specific study has been conducted on the Tree of Heaven in particular (Buck, 2002). In 1998 the habitat of two-thirds of all threatened and endangered species was already imperiled by invasives (U.S. Dept of Interior, 1998). Exotic invasives can exacerbate the fire regime which may change available habitat for native plants and cause threats to human settlements (Miller, 2007). Chinese Silvergrass (Miscanthus sinensis) is a plant in Appalachia that may increase fire risk. Riparian areas are also often severely affected by exotic invasives. Tamarisk (Tamarix spp.) in the western U.S. is a very challenging problem in riparian areas. Native herbivores don’t always feed on non-native plants as readily as food sources they are used to (Tallamy, 2009). Open water environments are notorious for the introduction of exotic invasives (Rejmanek et al. 2005). 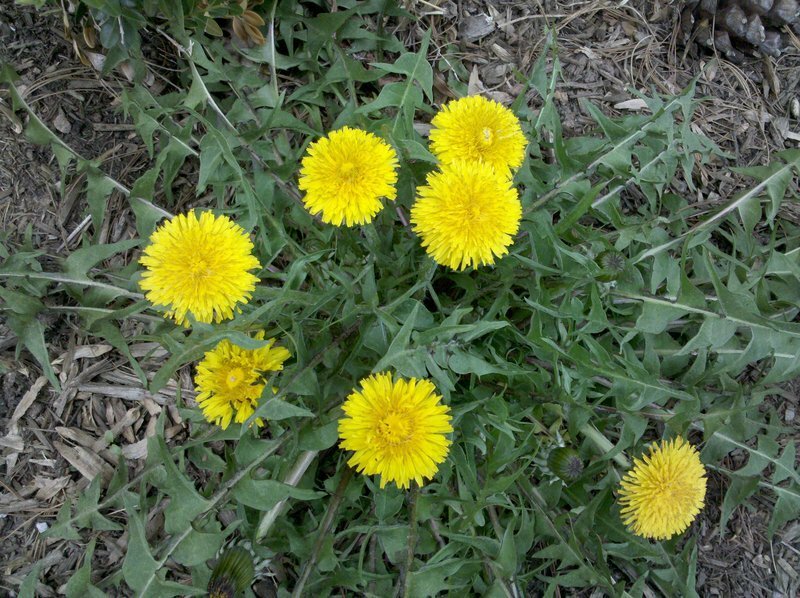 Many plants from just a few families have quickly become noxious weeds. These families include Alismataceae, Araceae, Azollaceae, Haloragaceae, Hydrocharitaceae, Najadaceae, Pontederiaceae, Potamogetonaceae, and Sparganiaceae. Most of the genera listed for these families have Class A highest priority status in the Carolinas. However, they do not even appear in the standard flora for this area that was written only four decades ago (Radford, Ahles, & Bell, 1968). The absence of such important invasives from a relatively recent survey of plant life shows the quick moving nature of some infestations. Elpel (2004) covers many of these exotic invasive water families listed alphabetically followed by page numbers. Alismataceae (173), Azollaceae (41), Haloragaceae (112), Najadaceae (174), and Potamogetonaceae (175). A well developed literature addresses the phenomenon of aquatic invasions specifically (Bugbee & Balfour, 2010; Capers, 2005; De Waal, 1994; Henderson, 2002; Lecerf, 2007; May, 2007; Oakwood, 2009; Zedler, 2004). How are Exotic Invasive Plants Introduced? Invasion typically follows a certain order. These steps include introduction, naturalization, facilitation, spread, interaction with animals and other plants, and stabilization (Cronk & Fuller, 2001). Vectors for the introduction of exotic invasive plants include ports, botanical gardens, plant collectors, foreign produce, nurseries, research stations, factories, and travelers. The rate of spread can vary by orders of magnitude depending on the confluence of various factors (Rejmanek, 2005). Certain vectors are more dangerous than others. This phenomenon is largely due to awareness, scale and repetition of risky behavior. It is necessary to prioritize which vectors are the biggest issues and reduce their potential (Rejmanek, Richardson and Higgins, 2005). Globalization and the liberalization of trade have led to increased introduction of exotic invasives by accident. Plants have been known to hitchhike on boats or in their ballast water and then set up residence. Domestic sources can also lead to accidental introduction of exotic invasives. For example, hay that is used for mulch may contain seeds of exotics. Hay used for forage on public lands now must often be certified weed free (United States, 1998). Most exotic invasives have been introduced intentionally by the horticulture trade (Weber, 2003; Westbrooks, 1998). “In most countries horticultural releases are considered safe, and little is done to manage potential environmental risks of these introductions despite abundant scientific evidence that these introductions can cause environmental harm” (Andow, 2005). According to one study over half the species invading natural areas in the U.S. were introduced through trade in ornamentals (Randall & Marinelli, 1996). Wildflower seed mixtures often contain a certain percentage of weed seeds. Therefore, buyers should acquire mixes with a low percentage of weed seeds and control any weeds that germinate before they become a problem. Some of the most noxious exotic invasives are still for sale and used for a number of applications. These include Chinese silvergrass (Miscanthus sinensis), Periwinkle (Vinca spp. ), Japanese Honeysuckle (Lonicera japonica), Oriental Bittersweet (Celastrus orbiculatus), Lespedeza (Lespedeza spp. ), Autumn Olive/Silverthorn (Elaeagnus spp. ), and Heavenly Bamboo (Nandina domestica) (Miller, Chambliss, & Bargeron, 2006). It is hard to understand why the sale of these plants is not outlawed. The continuing sale of known exotic invasives represents an example of externalized costs. The horticulture industry is allowed to make a profit off of something that costs tax payers subsequently millions of dollars. Alternatives to planting exotic invasives do exist. Some varieties of Heavenly Bamboo (Nandina domestica) are sterile. Cultivars of Silver Grass (Miscanthus sinensis) can also vary widely in seed viability and fertility (Miller et al., 2006). The Brooklyn Botanical Garden has also published a book of native plants that have analogous uses to exotic invasives (Burrell, 2006). The use of native plants for landscaping will lessen the viable populations that may escape from foreign cultivars. The growth and sale of native plants presents a significant economic opportunity for local nurseries and landscapers. Many natives that are endangered can have their populations bolstered by use in the landscape. One great example is the current use of Witch Alder (Fothergilla spp.) in the landscape. This is a native plant with many positive aesthetic values that is now rather rare in the wild. The maintenance of ecological functionality has led to the introduction of many exotic invasives. Many plants have been introduced to prevent erosion and as forage for wildlife. Some examples include Kudzu (Pueraria montana), Lespedezas (Lespedeza spp. ), and various members of the genus Elaeagnus. The literature is littered with plants that were introduced for their forage potential. Unfortunately, such plants have a built in dispersal mechanism by birds and other wildlife that may lead to long distance establishment away from the original planting area. All applicable stakeholders need to be involved in exotic invasive control including land managers, conservation associations, federal agencies, universities, horticulturalists, weed scientists, government officials, media, private citizens, local businesses, tourism boards, etc. The exotic invasive phenomenon is too large to be controlled by any one entity. Millions of dollars spent on remediation measures will do no good if plants continue to be dispersed through lack of awareness. A global invasive species database and early warning system can be found at www.issg.org/database/welcome (Poorter, 2005). The best indicator of potential invasiveness of a species is its invasiveness in a similar habitat elsewhere (Poorter, 2005). Databases from host countries, weed manuals, and plant floras are all useful tools (Ball et al., 2001; Haragan, 1991; Holm, 1991; Robbins et al., 1970; Royer & Dickinson, 1999; Western North Carolina Tomorrow (Organization), 2000). Campaigns to inform the public about the threat from exotic invasives take on a number of forms. Federal, state and local authorities all produce a variety of materials including pamphlets, brochures, videos, interpretive exhibits, and classes. Nonetheless, much is left to be done to educate the public about the challenges faced regarding exotic invasives. The Department of Transportation in North Carolina recently published a new guide about exotic invasives that may serve as a model for other areas (Smith, 2008). Pest Risk Analysis (PRA) is one tool under the banner of the International Plant Pest Convention (IPPC). The IPPC was signed by the United States and is administered under the Food and Agriculture Organization (Andow, 2005). The implementation of IPPC rules has led towards a presumption of safe until proved otherwise. Therefore, PRA’s must be conducted in a timely fashion to head off possible pest problems before they become an overwhelming issue. The National Park Service of the U.S. also has a qualitative risk assessment tool. Their models use a point scale to rank a species potential for invasiveness, cost of control, and the consequences of delay. All these factors are combined to determine which organisms should be prioritized for management (Andow, 2005). National parks are constantly under threat from exotic invasives due to their large size and especially diverse habitats. Many other entities within the U.S. government do work concerning exotic invasive plants. The U.S. Department of Agriculture’s, Animal and Plant Health Inspection Service (APHIS) is responsible for the prevention of the introduction of foreign weeds. They work to eradicate introduced pests and regulate the importation of potential invasives. The Federal Interagency Committee for the Management of Noxious and Exotic Weeds (FICMNEW) is a group of 17 organizations dedicated to determining ecologically sound ways to manage invasive plants on federal and private lands (Westbrooks, 1998). Regional research centers can possibly offer the resource of limited introduction as an intermediate step in assessing if a problem may arise. This type of research is very time consuming and somewhat limited by definition. For instance, a species may respond differently under various conditions of soil types, nutrient regimes, and climate that are hard to replicate. Nonetheless, research is necessary to justify appropriate rules and regulations concerning exotic invasives. Prevention is the cheapest and most effective means of exotic invasive control (Westbrooks, 1998). Other types of control include mechanical, chemical, burning, and biological. (Kaufman & Kaufman, 2007; Miller, Manning, & Enloe, 2010). Practitioners must first decide where to focus efforts. They need to decide whether to concentrate on outlying areas in which invasives are spreading or look to areas of particular biological interest. Economics are also a key factor in deciding control strategies. Ultimately an Integrated Pest Management (IPM) strategy is the most effective means of controlling exotic invasive plants (Chace, 2013; Clout & Williams, 2009; Miller, 2007; Morris, 2009; Myers, 2003). IPM is a holistic approach to managing pests taking into account economic, environmental, and social implications of infestations. Mechanical control can be a useful practice though it is typically employed in partnership with responsible herbicide use for larger scale invasions (Miller, 2007). Brush cutting can allow for the treatment of plants basally and of the more susceptible tender re-growth. Use of various disking implements and rakes may only serve to propagate certain asexually reproducing species. String trimmers may be used to wound waxy leaves and provide for more effective herbicide take up. Repeated application of mechanical techniques such as brush cutting and mowing can eventually exhaust the re-growth potential of some plants such as Multiflora Rose (Rosa multiflora) (Kay, Lewis, & Langeland, 1995). Girdling and mulching are two other mechanical techniques that are effective with certain species. Herbicides should be the last resort, but are sometimes necessary for heavy infestations of particular species. Judicious use of the least persistent, most effective, and environmentally friendly herbicides is therefore sometimes warranted (Randall & Marinelli, 1996). A number of methods are used with the application of chemical herbicides. These include foliar sprays, stem injection, cut-treat, basal sprays, and soil spots. Care must be exercised when applying herbicides. Responsible applicators uses the right chemical, in the right quantity, at the right time of year, using the right technique and following all precautions as noted on the label. Organic herbicides do exist. They are mostly based on high concentrations of vinegar often in concert with other botanical oils. Much research is being conducted on the use of biological controls for exotic invasives (Callaway, DeLuca, & Belliveau, 1999; Coombs, Clark, Piper, & Cofrancesco, 2004; HINZ & SCHWARZLAENDER, 2004; Hoddle, 2004; Keane & Crawley, 2002; Louda, Kendall, Connor, & Simberloff, 1997; MacKinnon et al., 2005; Messing & Wright, 2006; Pearson & Callaway, 2003; Simberloff & Stiling, 1996; Van Driesche, 2002). Scientists will often go to the home range of an introduced plant and observe its natural predators. Caution must be used before large scale introduction of such predators. The possibility of unexpected deleterious side effects from biological predator introduction needs to be assessed first. Biological controls also need to be as target specific as possible. Multiflora rose (Rosa multiflora) presents an example of a biological control success story. One disease and two insects are now preying on multiflora rose and are expected to largely control it in the next 20 years (Amerine, 2000). It remains to be seen if these predators will move onto native roses when and if the exotic invasive one becomes eradicated. Some people also use animals such as goats to control invasives such as Kudzu, Multiflora rose, and other Brambles (Kay, Lewis, & Langeland, 1995). Care must be taken, as animals can also be vectors for the spread of invasives if they consume fruits which produce viable seeds post digestion (Miller, 2007). Many exotic invasives have uses in their places of origin. Some of these plants are used for food, medicine, and crafts. Harvesting for use may become another method of deterrent if the general public can be encouraged to take up some of these traditional practices. This phenomenon would essentially create a resource from a menace. i presented research on this idea for the 2008 Society for Economic Botany Conference held at Duke University. A recent publication by Timothy Lee Scott (2010) does an excellent job of exploring the potential of invasive plant medicine in particular. A website www.alienweeds.com covers many aspects of using invasives for crafts. My research shows that a significant amount of exotic invasives can be used for food, medicine, crafts and more. i have recorded a total of 123 species out of 300 species listed as invasive by SC, NC, KY, VA, TN, and GA to have some potential use. Fifty-six species listed as top priority by at least one of these states has a potential use. The large majority of plants with a use can be employed for food, medicines, or natural dyes (Buchanan, 1995; Cannon & Cannon, 2003; Couplan, 1998; Duke & Foster, 1999; Duke, 1992; Peterson, 1978). Kudzu is one example of an exotic invasive plant that can be used for all manner of applications including food, medicine, fuel and fiber (Baldwin, 2003; Hoots & Baldwin, 1996; Shurtleff & Aoyagi, 1985). The exotic invasive literature rarely if ever addresses these potential uses or their possibility as a means of control. i hope to help rectify these omissions as time goes on. You can see the list at the following http://www.botanyeveryday.com/resources?expand=19. Further research might focus on a variety of questions. What is the economic and social viability of pursuing identified uses? How effective are harvesting practices in relation to controlling target species? What other uses might be identified? What is the correlation between form of plant and area affected? What are the relations between major invasive families and genus diversity? What is the most effective means to pursue notification and conversation with various regulatory bodies to align invasive categorization and treatment prioritization? Global climate change also seems like it will contribute to the spread of exotic invasive species (Mooney, 2005). The role of exotic invasives in Appalachia might be studied through the Appalachian Regional Commission and Appalachian Plant Materials Center. The Southeast which includes most of southern Appalachia has over 300 species considered as exotic invasives. The field of exotic invasive control needs further studies to determine the full economic impact of exotic invasives. These types of studies would help justify the expense of control efforts and the prevention of further infestations. Lists of possible native analogues for various areas need to be further compiled. Dr. Sunshine Brosi made the point to me that the ability to distinguish between natives and exotic invasive relatives is also important. A couple guides have pointed out exotic invasives and their native look alikes (Maine Volunteer Lake Monitoring Program, 2007; Sarver, 2008). Good natured people trying to control invasives may instead remove their often rare and threated native relatives by accident i.e. native Bittersweet (Celastrus scandens) while trying to remove Oriental Bittersweet (Celastrus orbiculatus). As an aside, i recently learned at an international ethnobotany conference that Oriental Bittersweet is consumed as food in at least one part of China (Kang, Łuczaj, Ye, Zhang, & Kang, 2012). However, i would state that this same community consumes other plants known to be dangerous if not toxic and the Bittersweet family (Celastraceae) is typically not consumed for food as far as i know. Dr. Brosi also brought to my attention the fact that support of exotic invasive uses can sometimes have unforeseen deleterious consequences (Nuñez, Kuebbing, Dimarco, & Simberloff, 2012). Nurseries can be engaged to fill the niche of native plant production. A number of resources exist to help this practice (Burrell, 2006; Foote & Jones, 1989; Harper-Lore & Wilson, 2000; North Carolina Wild Flower Preservation Society, 1977; Tennessee Valley Authority, 1998). Prairie Moon Nursery is one of my favorite seed suppliers though their genotypes might be from outside the Appalachian region. Native plant growers can also supply material for the re-vegetation of public natural areas. Hopefully, this information on exotic invasive plants has empowered you to be more aware of what you might introduce to the area where you live and how you might help control the exotics that are already running rampant across the land. Major families to consider include. Rosaceae, Fagaceae, Asteraceae, Apiaceae, Brassicaceae and the Lauraceae. Below are items to think about/comment on. Please write me directly at marc@botanyeveryday.com or leave information in the commentary under this class. i WOULD REALLY LOVE TO HEAR WHAT YOU HAVE TO SAY!!! - Post any clear photos of question plants to Facebook or send in an email. Praises to all that have donated to the cause. i encourage everyone reading this to donate as they are able financially, commentarialy, or energetically... Your contributions greatly help me continue this crucial work of ethnobotanical research and education. Please let me know your thoughts in general and anyway i can help this class serve you best. Ainsworth, D., & Swane, E. (2004). Discovering alternatives to garden escapes and stopping the spread of invasive plants. Sydney: Horticulture Australia. Andow, D. A. (2005). Characterizing Ecological Risks of Introductions and Invasions. In Harold A. Mooney (Ed. ), Invasive Alien Species: A New Synthesis (pp. 84–103). London: Island Press. Baldwin, J. (2003). Kudzu in America. Suntop. Ball, D. A., Dewey, S. A., Elmore, C., Lyn, R. G., Morishita, D. W., Swan, D. G., & Zollinger, R. K. (2001). Weeds of the West. (T. D. Whitson, R. Parker, & D. Cudney, Eds.) (9th ed.). Jackson, WY: University of Wyoming. Bauder, P. (2005). Invasive plants of Alaska. Washington, DC: U.S. Dept. of the Interior. Boersma, P. D., Reichard, S. H., & Van Buren, A. N. (2006). Invasive species in the Pacific Northwest. Seattle, WA: University of Washington Press. Bossard, C. C., Randall, & Hoshovsky. (2000). Invasive plants of California’s wildlands. Berkeley: University of California Press. Botta-Dukát, Z. (2008). The most important invasive plants in Hungary. Vacratot: HAS Institute of Ecology and Botany. Bromilow, C. (2001). Problem plants of South Africa: a guide to the identification and control of more than 300 invasive plants and other weeds. Pretoria, S.A.: Briza. Buchanan, R. (1995). A Dyer’s Garden : From Plant to Pot: Growing Dyes for Natural Fibers. Loveland, CO: Interweave Press. Buck, J. E. (2002). The impact of Ailanthus altissima (Miller) Swingle (Simaroubaceae), an invasive exotic, on ground cover biodiversity in a disturbed Virginia woodland. Burke, G. (1996). More than pests: the strategic significance of feral animals and invasive plants for nature conservation and landcare in Western Australia. Murdoch, W.A. : Institute for Science and Technology Policy, Murdoch University. Burrell, C. C. (2006). Native Alternatives to Invasive Plants. Brooklyn, NY: Brooklyn Botanic Garden. Cannon, J., & Cannon, M. (2003). Dye Plants and Dyeing. Portland, OR: Timber Press. Capers, R. S. (2005). A guide to invasive aquatic plants in Connecticut. New Haven, CT: Connecticut Agricultural Experiment Station. Carpenedo, S. M., & Saul, L. A. (2010). Common native and invasive wetland plants in Montana. Helena, MT: Montana Dept. of Environmental Quality. Chace, T. (2013). How to eradicate invasive plants. Portland, Or. : Timber Press. Chambers, N., & Hall, J. (2001). A resource guide for invasive plant management in the Sonoran Desert. Tucson, AZ: Sonoran Institute : Nature Conservancy. Chambers, N., & Hawkins, T. (2002). Invasive plants of the Sonoran Desert. Tucson, AZ: Sonoran Institute. Child, L. (1999). Vegetative regeneration and distribution of Fallopia japonica and Fallopia x bohemica: implications for control and management. © Lois Elizabeth Child. Child, L., & Wade, P. M. (2000). The Japanese knotweed manual: the management and control of an invasive alien weed. Chichester: Packard Publishing. Ciesla, W. M. (2002). Invasive insects, pathogens and plants in Western and Pacific island forests. Fort Collins, CO: Forest Health Technology Enterprise Team, USDA Forest Service. Clout, M. N., & Williams, P. A. (2009). Invasive species management: a handbook of principles and techniques. Oxford; New York: Oxford University Press. Colvin, W. (2008). Invasive plants conservation and restoration on Santa Cruz Island CA: linking the social and natural sciences to resolve an environmental problem in Channel Islands National Park. Saarbrücken: Müller. Connecticut Invasive Plant Council. (2004). Connecticut invasive plant list IPANE ; invasive plant atlas of New England. Coombs, E., M., Clark, J. K., Piper, G. L., & Cofrancesco, A. F. (Eds.). (2004). Biological Control of Invasive Plants in the United States. Corvallis, OR: Oregon State University Press. Cronk, Q. C. B., & Fuller, J. L. (2001). Plant Invaders: The Threat to Natural Ecosystems. London: Earthscan. Dark, S. J. (2003). The spatial distribution and biogeography of invasive plants at a regional and local scale in California. University of California, Los Angeles, CA. De Waal, L. C. (1994). Ecology and management of invasive riverside plants. Chichester; New York: Published for the International Centre of Landscape Ecology by Wiley. Di Tomaso, J. M., & Johnson, D. W. (2006). Use of fire as a tool for controlling invasive plants. California Invasive Plant Council. Dufour-Dror, J.-M. (2012). Alien invasive plants in Israel. Jerusalem: Middle East Nature Conservation Promotion Association. Duke, J. A. (1992). Handbook of Edible Weeds. Boca Raton, FL: CRC Press. Duke, J. A., & Foster, S. (1999). A Field Guide to Medicinal Plants and Herbs: Of Eastern and Central North America (Peterson Field Guides) (1st ed.). New York: Houghton Mifflin. Elpel, T. J. (2004). Botany in a Day: The Patterns Method of Plant Identification (5th edition.). Pony, MT: HOPS Press. Elton, C. S. (2000). The ecology of invasions by animals and plants. Chicago: University of Chicago Press. Foote, L. E., & Jones, S. B. (1989). Native Shrubs and Woody Vines of the Southeast: Landscaping Uses and Identification. Portland, OR: Timber Press. Glanznig, A., Kessal, O., & McLachlan, K. (2004). Garden plants that are invasive: plants of national importance : an overview of their legal status, commercial availability and risk status : a report. Sydney: WWF Australia. Gray, A. N., Barndt, K., & Reichard, S. H. (2011). Nonnative invasive plants of Pacific Coast forests: a field guide for identification. Portland, OR: U.S. Dept. of Agriculture, Forest Service, Pacific Northwest Research Station. Groombridge, B., & Jenkins, M. (2002). World Atlas of Biodiversity: Earth’s Living Resources Inthe 21st Century. Berkeley, CA: University of California Press. Groves, R. H., Lonsdale, M., & Boden, R. (2005). Jumping the garden fence: invasive garden plants in Australia and their environmental and agricultural impacts. Ultimo, NSW: WWF-Australia. Haragan, P. D. (1991). Weeds of Kentucky and Adjacent States: A Field Guide. Lexington, KY: University Press of Kentucky. Harper-Lore, B., & Wilson, M. (2000). Roadside Use of Native Plants (1st ed.). Island Press. Harrington, T. B., & Reichard, S. H. (2007). Meeting the challenge: invasive plants in the Pacific Northwest ecosystems. Portland, Oregon: U.S. Department of Agriculture, Forest Service, Pacific Northwest Research Station. Hébert, M. (2001). Strategic plan for noxious and invasive plants management in Alaska. Fairbanks, AK: Cooperative Extension Service, University of Alaska Fairbanks. Henderson, L. (2001). Alien weeds and invasive plants: a complete guide to declared weeds and invaders in South Africa, including another 36 species invasive in that region. Pretoria: Plant Protection Research Institute. Henderson, L. (2002). Invasive aquatic plants. Pretoria: ARC-Plant Protection Research Institute. Hetherington, J. K. (2012). Ecological rehabilitation, an approach to assisting ecosystems modified by invasive plants: applied and validated via Kaitorete Spit, a case study : a thesis submitted for the degree of Doctor of Philosophy at the University of Otago, Dunedin, New Zealand. Heywood, V. H., Brummitt, R. K., Culham, A., & Seberg, O. (2007). Flowering Plant Families of the World (Revised.). Buffalo, NY; Richmond Hill, Ont. : Firefly Books. Holm, L. G. (1991). The World’s Worst Weeds: Distribution and Biology. Malabar, Fla.: Krieger. Hoots, D., & Baldwin, J. (1996). Kudzu, the Vine to Love or Hate. Kodak, Tenn: Suntop Press. Huebner, C. D., Olson, C., & Smith, H. C. (2005). Invasive plants field and reference guide: an ecological perspective of plant invaders of forests and woodlands. United States: USDA Forest Service, Northeastern Research Station: Eastern Region: Northeastern Area State & Private Forestry. Jones, R., Griffith, G. R., & Vere, D. T. (2006). An economic evaluation of the research benefits and returns on investment in the Invasive Plants Cooperative Research Centre. Glen Osmond, SA: CRC for Australian Weed Management. Kang, Y., Łuczaj, Ł., Ye, S., Zhang, S., & Kang, J. (2012). Wild food plants and wild edible fungi of Heihe valley (Qinling Mountains, Shaanxi, central China): herbophilia and indifference to fruits and mushrooms. Acta Societatis Botanicorum Poloniae, 81(4), 405–413. Kaufman, S. R., & Kaufman, W. (2007). Invasive Plants. Mechanicsburg, PA: Stackpole Books. Kay, S. H., Lewis, W. M., & Langeland, K. A. (1995). Integrated Management of Multiflora Rose in North Carolina. North Carolina Cooperative Extension. Langeland, K. A. (1998). Help protect Florida’s natural areas from non-native invasive plants. Gainesville, FL: Florida Cooperative Extension Service, University of Florida. Lecerf, A. (2007). Stream ecosystems respond to riparian invasion by Japanese knotweed (Fallopia japonica). Canadian Journal of Fisheries and Aquatic Sciences, 64, 1273–1283. MacKinnon, D. K., Randall, C. B., Sing, S. E., Piper, G. L., Hansen, R. W., Clerck-Floate, R. D., & Swing, L. M. (2005). Biology and biological control of Dalmatian and yellow toadflax. USDA Forest Service, Southern Research Station. Mann, C. C. (2006). 1491: New Revelations of the Americas Before Columbus (1ST ed.). Vintage. Mann, C. C. (2011). 1493: Uncovering the New World Columbus Created. Knopf. Martin, P. (2003). Killing us softly: Australia’s green stalkers : a call to action on invasive plants, and a way forward. Glen Osmond, SA: CRC for Australian Weed Management. May, S. (2007). Invasive aquatic and wetland plants. New York: Chelsea House. Miller, J. H. (2007). Nonnative Invasive Plants of Southern Forests: A Field Guide for Identification and Control. Asheville, NC: U.S. Dept. of Agriculture, Forest Service, Southern Research Station. Miller, J. H., Manning, S. T., & Enloe, S. F. (2010). A Management Guide for Invasive Plants in Southern Forests. Asheville, NC: U.S. Dept. of Agriculture, Forest Service, Southern Research Station. Monaco, T. A., & Sheley, R. L. (2012). Invasive plant ecology and management: linking processes to practice. Wallingford, Oxfordshire; Cambridge, MA: CABI. Mooney, H. A. (Ed.). (2005). Invasive Alien Species: A New Synthesis. Washington, DC: Island Press. Moore, K., & Hyland, T. (2002). A plague of plants: controlling invasive plants in Santa Cruz County. Santa Cruz, CA: Wildlands Restoration Team. Morris, J. (2009). From Ravage to Resource: Adding Value in the Control of Invasive Plants. BookSurge Publishing. Myers, J. H. (2003). Ecology and Control of Introduced Plants. Cambridge: Cambridge University Press. Navie, S. C., & Adkins, S. (2008). Environmental weeds of Australia an interactive identification and information resource for over 1000 invasive plants. Brisbane: The University of Queensland. North Carolina Wild Flower Preservation Society. (1977). North Carolina Native Plant Propagation Handbook. Chapel Hill, N.C.: The Society. Poorter, M. de. (2005). The ISSG Global Invasive Species Database and Other Aspects of an Early Warning System. In Invasive Alien Species: A New Synthesis (pp. 59–83). London: Island Press. Radford, A. E. B., Ahles, H., & Bell, C. R. (1968). Manual of the Vascular Flora of the Carolinas. Chapel Hill, NC: University of North Carolina Press. Radosevich, S. R., Holt, J. S., & Ghersa, C. (2007). Ecology of Weeds and Invasive Plants: Relationship to Agriculture and Natural Resource Management (3rd ed.). Hoboken, NJ: Wiley-Interscience. Ramey, V. (2005). Invasive and other non-native plants found in public waters and conservation lands of Florida and the Southeastern United States: a recognition guide for 94 non-native plants targeted for control by the Florida Department of Environmental Protection. Gainesville. FL: University of Florida, IFAS Extension. Randall, J. M., & Marinelli, J. (1996). Invasive Plants: Weeds of the Global Garden. Brooklyn, NY: Brooklyn Botanic Garden. Rejmanek, M. (2005). Ecology of Invasive Plants: State of the Art. In H. A. Mooney (Ed. ), (pp. 104–161). London: Island Press. Rens, E. N. (2003). Geographical analysis of the distribution and spread of invasive plants in the Gardiner Basin, Montana. Montana State University, Bozeman, MT. Robbins, W. W., Bellue, M. K., & Ball, W. S. (1970). Weeds of California. Sacramento, CA: Documents & Publications/State of CA. Ross, M. A., & Lembi, C. A. (2009). Applied weed science: including the ecology and management of invasive plants. Upper Saddle River, N.J.: Pearson Prentice Hall. Royer, F., & Dickinson, R. (1999). Weeds of the Northern U.S. and Canada. Winnipeg, Manitoba: University of Alberta Press. Sarver, M. (2008). Mistaken identity? : invasive plants and their native look-alikes : an identification guide for the Mid-Atlantic. Dover, DE: Delaware Dept. Agriculture. Scott, T., L. (2010). Invasive Plant Medicine: The Ecological Benefits and Healing Abilities of Invasives. Rochester, VT: Healing Arts Press. Shephard, M. (2007). Selected invasive plants of Alaska. Anchorage, AK: U.S. Dept. of Agriculture, Forest Service, Alaska Region. Sherley, G. (2000). Invasive species in the Pacific: a technical review and draft regional strategy. Samoa: South Pacific Regional Environment Programme. Shibu, J. (2013). Invasive plant ecology. Shurtleff, W., & Aoyagi, A. (1985). The Book of Kudzu: A Culinary & Healing Guide. Wayne, NJ: Avery Pub. Group. Skrine, E. (2005). Pacific Northwest Region invasive plant program preventing and managing invasive plants record of decision: final environmental impact statement, Volume I & II Volume I & II. Portland, OR: USDA Forest Service, Pacific Northwest Region. Smith, C. (2008). Invasive exotic plants of North Carolina. Raleigh, NC: N.C. Dept. of Transportation. Staples, G., & Cowie, R. H. (2001). Hawai`i’s invasive species: a guide to invasive plants and animals in the Hawaiian Islands. Honolulu, Hawaii: Mutual Pub. Stone, C. P. (1992). Alien plant invasions in native ecosystems of Hawai’i: management and research. Honolulu, HI: University of Hawaï. Tallamy, D. W. (2009). Bringing Nature Home: How You Can Sustain Wildlife with Native Plants, Updated and Expanded (Expanded Edition.). Portland, OR: Timber Press. Tennessee Valley Authority. (1998). Landscaping with Native Shrubs in Utility Rights-of-Way: A Guide to Selecting Native Shrubs for Rights-of-Way Naturalization in the Tennessee Valley. Norris, TN: Environmental Research & Services, Tenn. Valley Authority. Thomas, K. A., & Guertin, P. (2007). Southwest Exotic Mapping Program 2007 occurrence summary and maps of select invasive, non-native plants in Arizona. Reston, VA: U.S. Geological Survey. U.S. Dept of Interior. (1998). Pulling Together : National Strategy for Invasive Plant Management. U.S. Dept. of the Interior, Bureau of Land Management. United States. (1998). Stemming the Invasive Tide Forest Service Strategy for Noxious and Nonnative Invasive Plant Management. Washington, D.C.: U.S. Dept. of Agriculture, Forest Service. Van Driesche, R. (2002). Biological control of invasive plants in the eastern United States. Morgantown, W. Va.: USDA, Forest Service, FHTET. Weatherbee, P. B., & Somers, P. (1998). A guide to invasive plants in Massachusetts. Massachusetts: Division of Fisheries & Wildlife. Weber, E. (2003). Invasive Plant Species of the World: A Reference Guide to Environmental Weeds. Wallingford, Oxon, UK: CABI Pub. Westbrooks, R. G. (1998). Invasive Plants: Changing the Landscape of America: Fact Book. Washington, D.C: Federal Interagency Committee for the Management of Noxious and Exotic Weeds. Western North Carolina Tomorrow. (2000). Exotic Pest Plants & Their Effects on Natural Areas. Cullowhee, NC: Western North Carolina Tomorrow. White, D. J., Haber, E., & Keddy, C. (1993). Invasive plants of natural habitats in Canada: an integrated review of wetland and upland species and legislation governing their control. Ottawa, Ont. : North American Wetlands Conservation Council (Canada), Canadian Museum of Nature. White, M. R. (2008). Field guide to noxious and invasive weeds: known to occur or are potentially occurring on the Apache-Sitgreaves National Forests. Albuquerque, NM: United States Dept. of Agriculture, Forest Service, Southwestern Region. White, M. R. (2011). Invasive plants and weeds of the national forests and grasslands of the southwestern region. Albuquerque, NM: USDA Forest Service, Southwestern Region, Apache-Sitgreaves National Forests. Wikeem, B. M. (2006). Control of invasive plants on Crown land in British Columbia. Victoria, B.C. : Forest Practices Board. Williams, A., Rogers, J. J., & Howe, N. (2013). Invasive Plant Species Early Detection in the San Francisco Bay Area Network. CreateSpace Independent Publishing Platform. Wofford, B. E. (1989). Guide to the Vascular Plants of the Blue Ridge. Athens, GA: University of Georgia Press. Zedler, J. (2004). Causes and Consequences of Invasive Plants in Wetlands: Opportunities, Opportunists, and Outcomes. Critical Reviews in Plant Sciences, 23(5), 431–452.